1, no surgery and anesthesia can complete process. 2, won\'t cause uneven phenomenon. 3, not bleeding and swelling stasis. 4, no side effects, the effect significantly, won\'t rebound. 5, noninvasive, does not affect the normal working life. Being integrated with the most advanced RF technology and radio frequency, the instrument may directly reach the deep-seated fat body and have the excellence of targeted positioning RF. In the fast-active state, fat cell tissue may generate friction heat, increase local temperature and remove excess fat and toxin from the body through sweat gland, enterohepatic circulation and lymph and ultimately achieve the effect of dissolving fat.With controlled depth technology, inlaid diamond particles of different sizes may rub skin alongits pattern, adjust suction strength by means of vacuum draw and rub with negative strongforce to directly explode thick fat. Thus, the effects are very obvious: Enhance blood circulation, accelerate the decomposition of fat, take away wastes, enhance the effect of removing cellulite, effectively improve the state of areolar tissue, remove stubborn fat and improve the sufficient absorption condition of diet products. Facial RF head capacitive coupling electrode is used for transmitting radio-wave energy and generating an electric field for entering into subcutaneous tissue through the skin surface. In the high-frequency of 450khz, this electric field changes its polarity for 450,000 times per second. To reply to the rapid change in electrode, directions of electrical particles the skin are also changed. By this time, natural electric resistance in the subcutaneous tissue moves and generates heat energy. As thepapillary dermis collagen may immediately shrink when the temperature is within the range from 60 to 70 Celcius degree, after wrinkle operation. Cavitation 40k refers to the creation of many voids in fat cells at a frequency of 40khz When these micropores "explode inside", the fat cells are blasted. then get effect of body slimming, lose weight. It is use belly arms, thighs. Bipolar RF & Vacuum Permeation in the treatment area and local blood circulation stimulates lymphatic drainage and contributes to the reduction of fat cell volume. It not only accelerate blood circulation, reducing cellulite but also achieve skin firming effects with RF. Most commonly use on belly, back. thighes. Quadrupole RF radio frequency handle concentrate the thermal effects of RF on the dermis of the skin, fast reaching45 -60 ° C, create warm to make dermal layer of skin to thicken, decreasing wrinkle depth. It use on the cheeks, neck, double chin, arms, body. 3-Pole RF handle mainly use the thermal energy effect of radio frequency to contact the dermis layer of the skin, promote collagen regeneration, and achieve skin lifting and skin firming reduces wrinkles effect. Mainly use around the eyes , face cheek, chin, forehead. The principle of vacuum weight loss device is to cause frequent activity of fat in the body through the thermal effect of electricity, so that the weight loss site is decomposed by heat perspiration to achieve weight loss. Cavitation: Ultrasonic cavitation is a simple treatment that relies on sound waves to destroy fat cells from body.It is a non-invasive weight loss treatment that uses ultrasound technology to reduce fat cells in the target area of the body. Cavitation therapy makes it possible to apply concentrated levels of cavitation energy to specific treatment areas. This type of therapy targets and destroys subcutaneous fat cells in the fat cell membranes through a series of microscopic implosions. Once the fat cell membrane (adipose tissue) is destroyed, the fat is discharged between the cells where they are turned into protein and then changed to free fatty acids and glycerol. Free fatty acids are moved to the liver where they decay and are removed from the body while water-soluble glycerol is transported to the circulatory system and used as energy. Vacuum: The principle of vacuum weight loss device is to cause frequent activity of fat in the body through the thermal effect of electricity, so that the weight loss site is decomposed by heat perspiration to achieve weight loss. Cavitation: Ultrasonic cavitation is a simple treatment that relies on sound waves to destroy fat cells from body.It is a non-invasive weight loss treatment that uses ultrasound technology to reduce fat cells in the target area of the body. It is preferred for people who do not want to accept extreme options such as liposuction because it does not involve any needles or surgery. Vacuum handle: belly, back, arm, thigh. Cavitation handle: Belly, thigh, arm, etc, could not use on back. 1. Weight Loss and skin tightening. 2. Treatment area shortened (due to fat cell release). Removal all necklace, rings, ect from body. User drink a cup of water, about 500ml. Treatment time: for a good result, we usually suggest 10~12 sessions. No gym, steam room, sauna, swimming pool. 1.Principle is different. Vacuum Cavitation slimming is use the ultrasonic wave sound and vacuum technology, while lipo laser adopt laser energy light. 2.Treatment way is different. Cavitation vacuum will work by doctor operation, keep moving during the treatment. Lipo laser treatment only need packed the pads on the target area, doctor do not need move it, just keep attention to the skin condition. 1.The skin is temporarily reddened. The cavitation releases powerful ultrasonic waves, which can speedy vibrate fattiness cells, produce countless vacuum air pocket in and out of cells, mightily impacts the fatty cells. The vacuum air pocket will break the fat cell membrane, so as to dissolve the triglyceride to be the glycerin and free fatty acid. The glycerin and free fatty acid will be out with the daily metabolism. Eating more calories than you burn in daily activity and exercise (on a long-term basis) causes obesity. Over time, these extra calories add up and cause you to gain weight. You will be fatty. Your life and working will be effected badly. Obesity is one of the most annoying things that we have met, no matter man or woman. How to solve this problem? Cavitation slimming machine is one of the most effective ways to do the fat reduction. The cavitation machines just need to operate 15-20 minutes for one part of the body. But the cryolipolysis equipment needs to operate 30 minutes. The cavitation fat reduction treatment dose does not have any bad effect on the body, you just need to leave time for the body to exhaust the broken fat cell. For the same part, you can do the second treatment after 2 days. The cryo fat freezing treatment freezes the fat with one low temperature. The frozen fat will be dissolved in one month. You can do the second treatment only after one month if your body recovered well. If not, you can do the second treatment after two months. 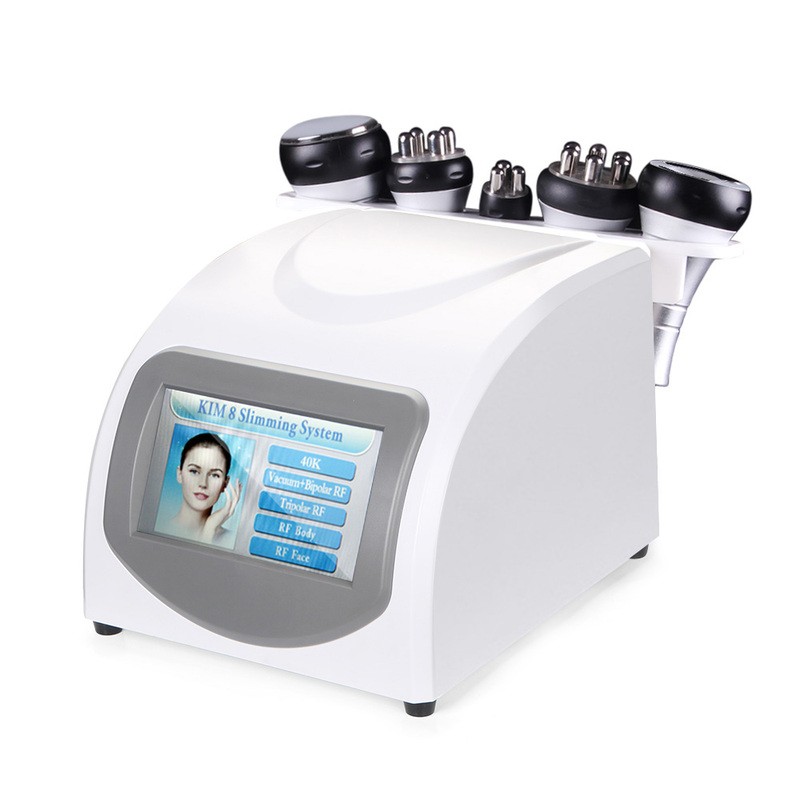 It is easy to operate the cavitation and suitable for all body except the back, neck, and face. But for the cryolipolysis, it needs skillful operating skills. Or it is easy to cold the fat. How To Do Make The Cavitation Fat Reduction Treatment? Does The Cavitation Have Any Side Effect? The only thing for the cavitation is the noise in ears during the treatment. If you cant bear much noise in ears, you can choose the unoisetion cavitation 2.0 which is with less noise during treatment, and it is much comfortable. Vacuum radiofrequency therapy can be performed throughout the body. Although the most common parts are the legs, buttocks, abdomen and upper arms. It can stretch the facial muscles and lift the skin to restore the elasticity of the skin, giving your skin a firmer. Make you more beautiful and confident!!! Vacuum therapy can help your body excrete ultrasonic cavitation to treat emulsified toxins. It also has the benefit of tightening the skin. When our technicians improve the circulation of lymph nodes to accelerate the discharge of toxins, they are using RF heat to shape your body. Radio Frequency converts electric energy into heat energy to penetrate deep into the skin to accelerate the blood circulation and subcutaneous tissue to stimulate collagen, proteins and cell renewal, to tighten wrinkles and other effects. As blood circulation improves and helps eliminate waste more effectively, the skin continues to regenerate new collagen fibers for weeks, giving your skin a firmer, younger look and feel. The combination of high-frequency radio frequency and vacuum technology increases the depth of direct contact with fat cells, allowing fat cells to enter a fast-active state after local heat generation, resulting in effective blood circulation. This increases the local blood circulation of the dermis, with the aim of tightening the loose skin due to the normal effects of aging. Your skin will have an increase in its auxiliary metabolic activity with improved elasticity. Excess fat and toxins are then excreted through the sweat glands and lymphatic system. The purpose is to further dissolve fat cells, enhance the integrity of cell mitochondria, promote blood and lymph circulation, and promote metabolism. How does Vacuum RF work? Vacuum Radiofrequency therapy systems use suction and pressure to release fluids that cause cellulite in fat cells. The surface and deep layers of connective tissue fibers, dermal collagen fibers, and fat cells are heated by Radiofrequency energy. These energies soften connective tissue, stimulate the production of new collagen, and improve the elasticity and elasticity of the skin. Through the circulation of the cells, the skin looks firmer and younger. Results include a local reduction in skin sagging, increased skin volume, and improved skin texture and texture. What is the typical treatment? It is relatively painless, relaxing and you may experience a warm massage with a warm heat. The typical treatment time is approximately 45 minutes, concentrated in the problem area. In the process, you will properly drape the towel to ensure your comfort and stay humble. Treatment is done on a comfortable massage bed. 2. Lipo laser treatments are more expensive, and Vacuum RF treatments will be cheaper. 3. Lipo Laser can only be used to lose weight, but Vacuum RF stretches facial muscles, tightens skin and increases skin elasticity, etc. Vacuum radiofrequency therapy is one of many treatments used to solve fats that are difficult to transfer and often have dimples on the thighs, knees, buttocks, abdomen and arm tops. In general, the effect can be seen after 3 uses (although in some cases, the weight and cm drop may not occur immediately, but the skin seems smoother). The exercise under vacuum therapy takes only 30 minutes, but this is enough. Under normal conditions, fat will only burn in the muscles after 20-30 minutes of exercise. Under vacuum treatment, this time is reduced by a third. 3) What can be done to maximize results? 4. Avoid drinking alcohol within 24 hours after treatment. Alcohol can cause liver dehydration and increase the liver burden. If you follow these simple rules, you are likely to succeed. Your liver will do all the work to remove excess fat cells. One of the biggest benefits of radiofrequency therapy is the ability to lift and tighten tissue effectively without the need for surgery or downtime. If done correctly, postoperative recovery is very quick and easy. Side effects are usually minimal and transient, limited to mild and temporary swelling, redness, stinging, depending on treatment. Radio Frequency therapy can also be performed safely with injections, micro needles or other minimally invasive treatments.